Rarely during his high school football career was Jeremy Tardiff ever stopped in his tracks. Nowadays, the former award-winning and record-setting Oxford Hills running back gets stopped by both locals and strangers when he’s out of town working on jobsites building concrete foundations, and they bring up those glory days that are now nearly a quarter-century gone by. While Tardiff gets stopped in the street primarily because of his prowess on the football field, his athletic career actually started on the baseball diamond, around the time he was four years old, Tardiff estimates. Baseball was the only sport he played as part of an organized team growing up, but would play other sports recreationally, including football with the neighborhood kids. It wasn’t until he was in the eighth grade that someone asked Tardiff, who by that time had turned into a mountain of a young man, if he would try out of the middle school football team. Tardiff said he went home and inquired with has father, who thought football would be a great idea. The future skill-position star started his career as a two-way tackle, put there due to his size. When he got to high school, the freshmen team coach moved him to the backfield. “I knew he could run, so I don’t want to take full credit, but he would have ended up at running back no matter what, but that’s kind of where I put him from day one,” said Mike Loveless, who first met Tardiff as a 15-year-old playing Babe Ruth All-Stars. Nate Danforth, a former teammate and Tardiff’s friend ever since, remembers Tardiff’s last day as a lineman. “I was a fast kid in high school, and also sprinted on the track team. The linemen that day started our preseason testing with the 40-yard dash and we did it on the track,” Danforth, now an Oxford Hills assistant coach, said. “At this point, I did not know Jeremy, and as I stepped to the start line he stepped in beside me. We were timed in pairs, and Ted Moccia, our head football coach, had Jeremy’s lane. As we flew down the track, Jeremy beat me by at least five yards, and I had run my fastest 40 ever. While Tardiff’s speed made him stand out early on, it didn’t mean a starring role just yet. He had to earn his way into the Vikings’ starting backfield, and he did that through his play on special teams. Tardiff estimated he ran nine kickoffs back for touchdowns his sophomore year, and had two more called back because of penalties. 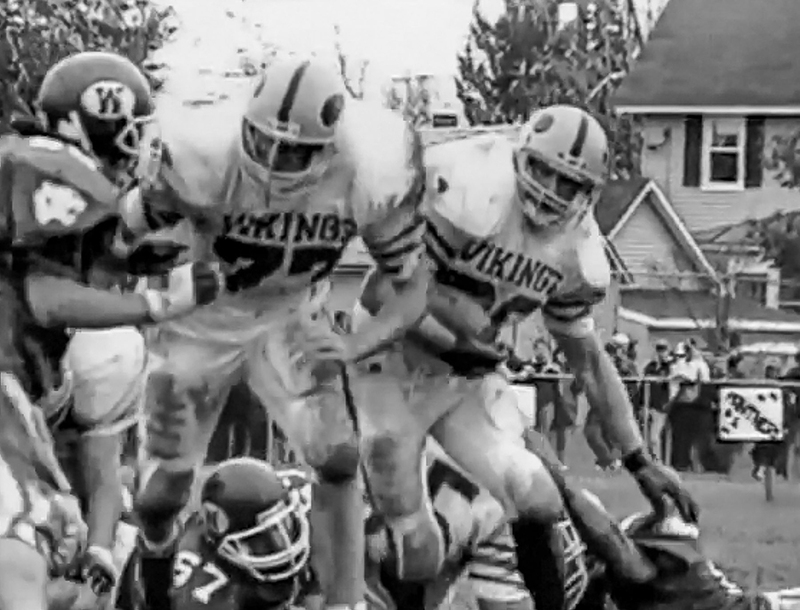 Loveless remembered a freshmen game against Waterville when Tardiff returned three or four kickoffs in that game alone. By the time Tardiff was a senior in 1994, a star was born. 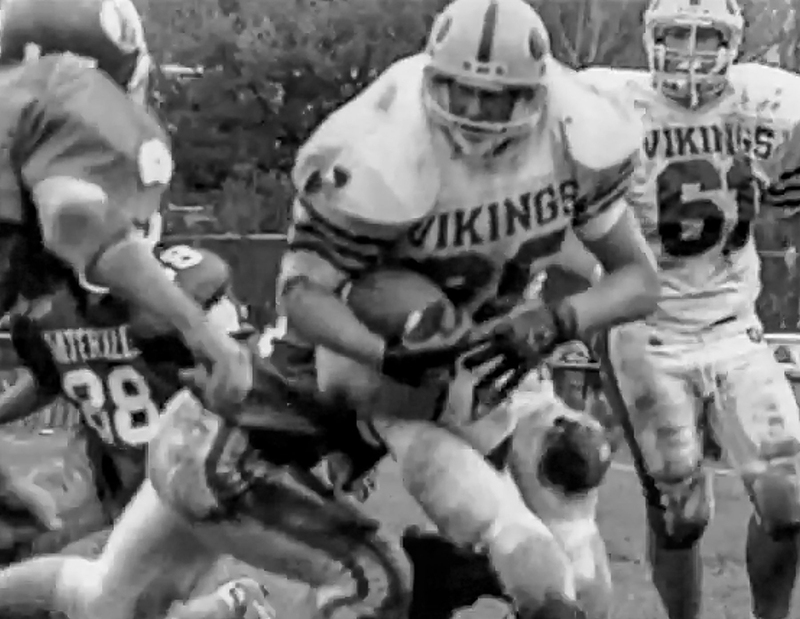 He set a state single-season rushing record with 2,448 yards, along with 30 touchdowns. Not only that, Tardiff said, but the Vikings improved from one win during his junior season to one win away from the state championship game. “His senior year was a special year,” Moccia said. One of Moccia’s former assistant coaches, Jeff Ramich, remembers Tardiff running for more than 300 yards in a game twice that season. Having a good team that year helped, but so did Tardiff’s natural ability. There were memorable moments on the other side of the ball, as well. 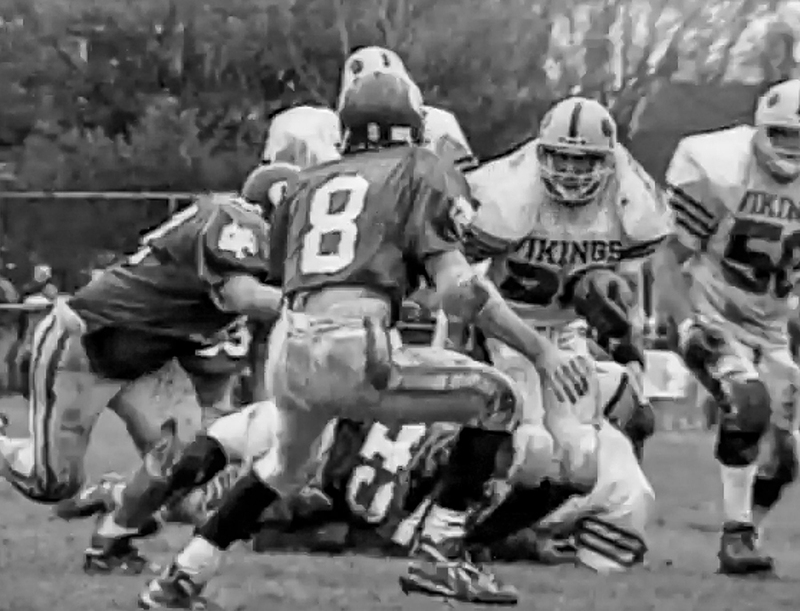 The highlights, and the statistics, were enough to win Tardiff the 1994 Fitzpatrick Trophy, which is awarded to the best senior football player in Maine. Tardiff’s special senior season trickled into the spring, and to baseball. While there was no one to hit — at least not intentionally — Tardiff’s speed once again made him stand out. He had it in his arm, as well as his legs. Tardiff started to turn heads that spring, and not just from opponents and fans, but next-level personnel. Tardiff said he was told the Pirates wanted to draft him that year, but the draft came and went without a call. He was about to turn back to football, with plans to gain a few needed credits at Andover College in order to be eligible to play college football, but a tryout for the Red Sox came up. Tardiff did sign a contract with the Red Sox, who shipped him down to spring training in Florida. He eventually made his way to the Red Sox’ Gulf Coast League rookie team, where, according to Baseball-Reference, he appeared in 10 games, recording three hits (single, triple home run), and played nine games in left field. Tardiff called his first year “good.” His second year, though, things went bad. After just four games, and one hit, Tardiff complained of pain in his stomach. A trainer figured it was just a pulled abdominal muscle, but Tardiff believed otherwise, saying he was “pretty much hunched over,” and asked for a plane ticket home. 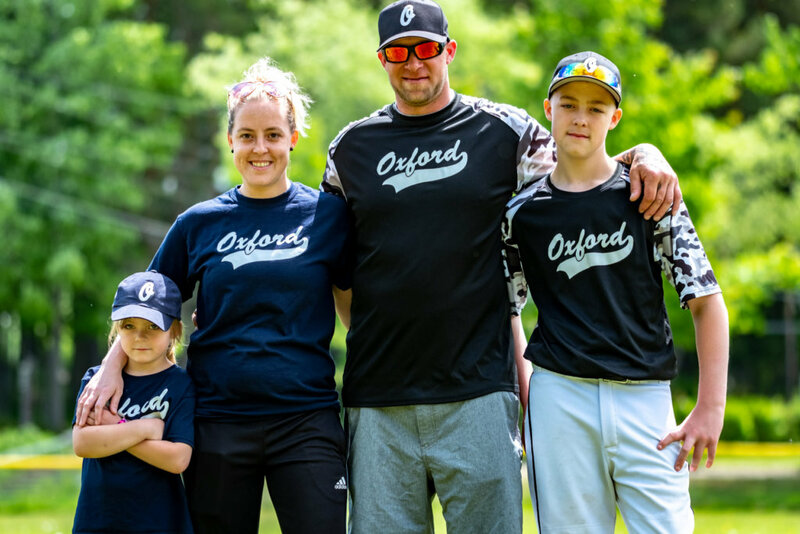 Upon arrival back to Maine, Tardiff’s mother brought him straight to the hospital, and one push on his stomach from a doctor later, he was brought in for emergency surgery to take care of a cyst that had burst. Once he recovered, Tardiff was sent to play with the Bangor Blue Ox of the Northeast League. That was short-lived, however, with the team folding after Tardiff’s lone season. Then the Red Sox notified Tardiff that he had been released. The other place for Tardiff to go was back to football. 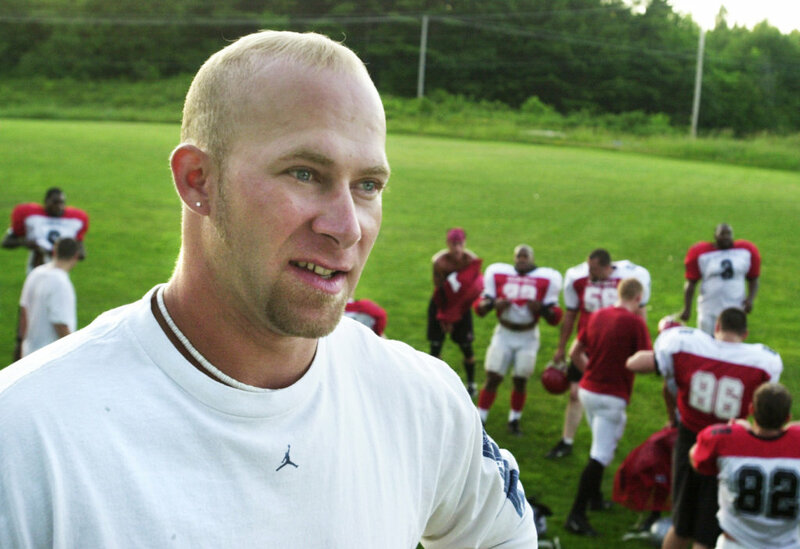 A former friendly rival from his high-school days brought up the Southern Maine Raging Bulls semi-pro team to Tardiff, who jumped at the opportunity. It didn’t take long for Tardiff to fit in, and he spent the next decade playing for the franchise. Tardiff suffered a torn patella tendon during his Raging Bulls career, but recovered and played for a few more years. By the end of his playing days he had transitioned to solely defense. Even after Tardiff stopped playing for the Raging Bulls, he didn’t stop playing sports. He still plays co-ed softball and flag football. He also transitioned to coaching. He coaches his son, 12-year-old Hunter, in both baseball and football. That’s high praise from someone who is still talked about as one of — if not the best — high school football players the state has ever seen. 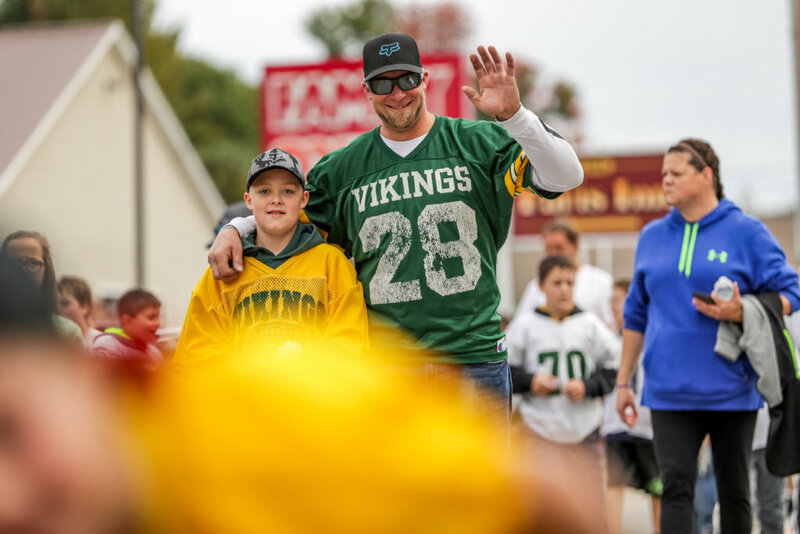 “I guess the biggest compliment I could give Jeremy is that he was probably more talented than Joe Dudek was,” said Moccia, referring to his former Plymouth State teammate and 1985 Heisman Trophy contender.